Sean’s Run from Autism is the single most important fundraising event for the Autism Research and Resources of Oregon to be able to continue it mission of providing resources to the Autism Community. 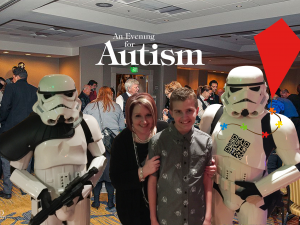 Those resources are many, and include the ARROAutism Westside Family and Community Center in Beaverton, our annual Holiday Assistance Program, various lectures, lectures, family socials, classes, movie showings, and other resources. 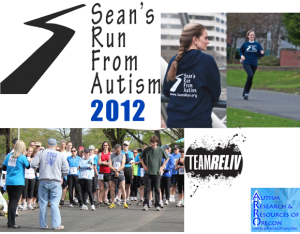 Thanks to everyone who participated in Seans Run from Autism, we have made a decent start on our 2012 fundraising, with more than $6500 raised for those programs and services. And we couldn’t have done it without you. Treske Precision Machining, Inc who paid for 24 of their employees to run and walk in Sean’s Run 2012! Starbucks Burlingame Branch for providing coffee for the Sean’s Run from Autism 2012 volunteers! Russ Zornick for handling all the timing for Sean’s Run from Autism! I’d especially like to thank everyone, participants and volunteers, for working with us on what turned out to be a very fluid start time – an area that will be improved upon for next year. Despite a wet start for the volunteers, Fortunately, the sky cleared up providing a beautifully blue and white patchwork and just the right temperatures for a great run and gorgeous walk in Portland. Thanks again to everyone who volunteered, participated, contributed and otherwise helped Sean’s Run from Autism 2012 to raise more than $5000 for Autism Research and Resources of Oregon! 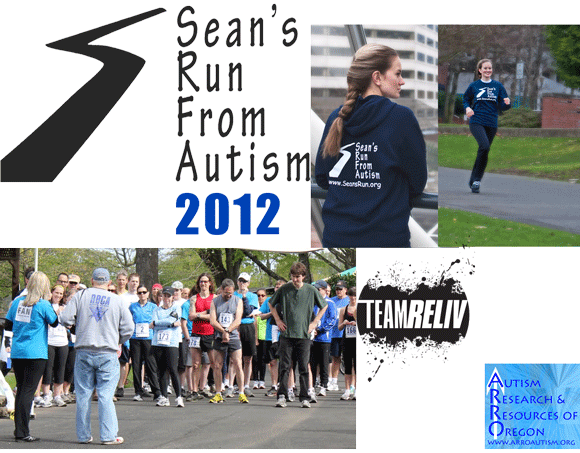 This entry was posted in News and Updates, Race Results, Sean's Run From Autism, Seans Run From Autism. Bookmark the permalink.